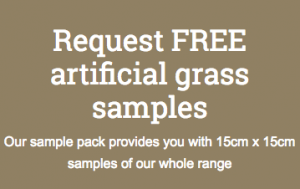 Looking for the best artificial grass company in Kent? Our soft and incredibly realistic grass is ideal for anywhere you would ordinarily find a luscious lawn. It is also suited to any areas that are typically inhospitable when it comes to natural lawn such as roof terraces or balconies. Where in Kent have we installed artificial grass? Businesses can benefit from the improved aesthetic artificial grass brings as it is well suited to places with heavy footfall including al fresco dining areas and exhibition spaces. Regular offices in Kent are using it for brightening up bland office areas. We have just had artificial grass installed in our back garden and it has totally transformed the space. It looks neater, cleaner and much bigger. Gavin and his team did a fantastic job. Keith Richards and Mick Jagger from the band the Rolling Stones are both from Kent. Actors Michael Crawford and Orlando Bloom are also both from the area. Abbeywood, Aldington, Alkham, Appledore, Belvedere, Blackfen, Blean, Borough Green, Broadstairs, Canterbury, Charing, Dartford, Deal, Ditten, Dover, East Malling, Erith, Eynsford, Farningham, Faversham, Gillingham, Gravesend, Greenhithe, Hadlow, Hawley, Hoo, Hythe, Isle of Grain, Kemsing, Keston, Larkfield, Margate, Medway Towns, Meopham, New Ash Green, New Romney, Northfleet, Otford, Rainham, Ramsgate, Rochester, Sandwich, Shoreham, Snodland, Southfleet, Sutton at Hone, Sutton Valance, Swanscombe, West Malling, West Kingsdown, Whitstable, Wigmore, Wrotham, Wye If you are anywhere in our installation areas, then give us a call on 020 81664168 or fill out this form for a free estimate or sample. We’re not the biggest artificial grass supplier or installer in England – but we are the best!